I held off for two months before writing this post – and it’s because, when the colour of the year was first announced, I didn’t know what to think! I wasn’t surprised – it’s true that 9 out of 10 people are painting their homes either white, or off white. I expected BM to pick a white or very light colour. But Simply White? Confusion. I have to hand it to them that they are spot on for what’s on trend. But, I will only come to peace with this if you promise me that, when you paint your walls white, you will layer your space with other colours, textures, and points of interest. Okay – drooling, right? This room is perfection. 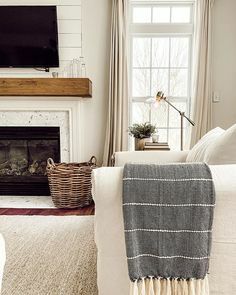 Simply white on the walls, a jute/natural fiber rug, burlap-toned draperies and furniture, and a focal of stone. 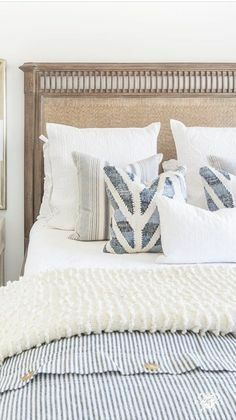 The reason I think the Simply White works here is that there’s texture and interest in other areas of the room. 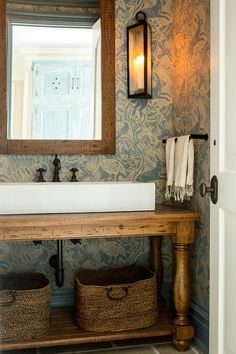 Even the walls themselves are paneled which is a great feature in a simplistic space. Because Simply White was used in this room, it allowed for gold & navy to take dominance. A stronger colour on the wall would fight with the strong colours in the accents. 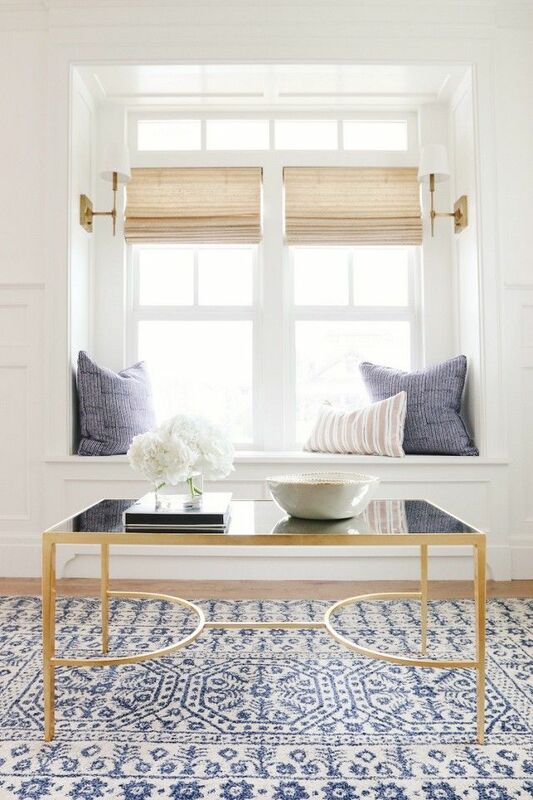 I love the way this room is balanced out through Simply White stepping back and letting the blue & golds do all the talking. Straight from Benny Moore’s brochure itself, Simply White is featured as the perfect white for your furniture, millwork, or even floor boards. Guess what? The formula to make the wonderful OC-117 is actually exactly half of the formula to create our beloved & wildly popular Cloud White. 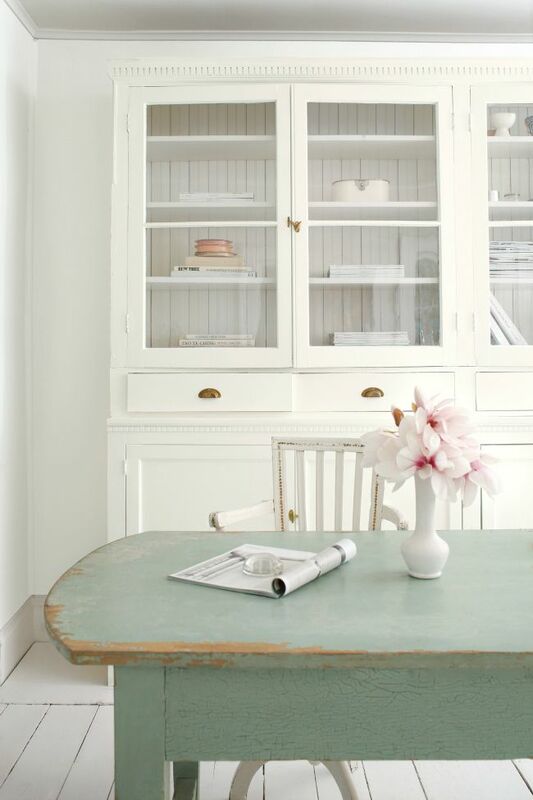 Finally, Simply White is just warm enough to appear soft & smooth with natural wood tones. 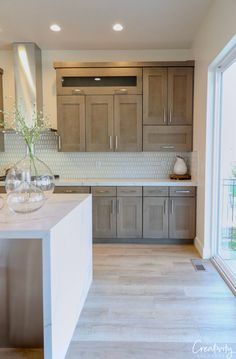 Putting a cold or stark white with warm wood isn’t easy on the eye, and that’s why Simply White works as an easy transition. Don’t forget about Benjamin Moore’s other selected 2016 Color Trends! A few of my favourites from this list are AF-155 Weimaraner, OC-52 Gray Owl, and 2064-20 Patriot Blue. What do you think of Simply White being the colour of 2016? Let me know in the comments below.